You must make reservations at least 5 minutes in advance of the time at Guiso Latin Fusion. We have been here few times and it is a favorite spot, small and neighborhood style. Would recommend to anyone. I LOVE GUISO LATIN FUSION!! The food is excellent. The servers are family members who are gracious, well informed about the food and give you the family back story on different dishes. They serve creative Latin foods with a California spin. Local fresh produce, fresh fish and creative vegetarian dishes. We come here for special ocassions or just whenever we can. The place is small and the tables are close together. Thus, the noise level is pretty high when the room is full. Reservations are a must as it is obvious locals love this spot and come here often. Patrons are greeted warmly and often hugged good bye by the chef. Those are the frequent , local diners. Don't miss eating here! 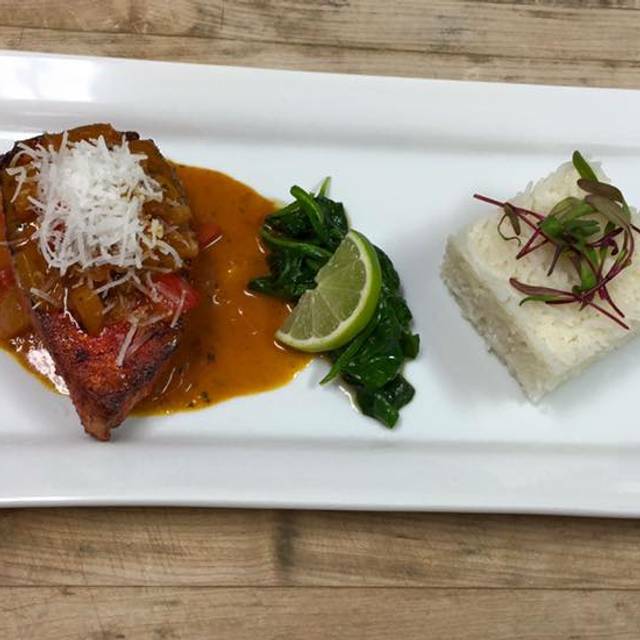 Chef Carlos has a creative spin on Salvadoran cuisine, with beautiful, aromatic presentations of family favorites. The prawns and fingerling potatoes small plate was rich in a smoky anchiote sauce; the fish tacos were brilliant as were the handmade smoky tortillas; and the paella, while a bit pricey, was rich with prawns, fish of the day, clams, chorizo, and slivers of fresh vegies, resting above a smattering of rice. It was very much more like a fish stew than a ricey dish. Extraordinary flavors. Sister Valeria, the principal server, explained the menu and history of the dishes in a manner that brought you into their family. What a treat! Decent and fairly priced wine list, with wines by the glass, as well. Can't wait to return. This is our third visit and we will return again. Fantastic experience all the way around. A real gem in Healdsburg. The best restaurant in Healdsburg which is saying a lot! Nothing could have been better. Young lady who served us was very informative and well spoken. Everyone was very friendly and appeared happy and enthusiastic about the place. Would definitely go back. 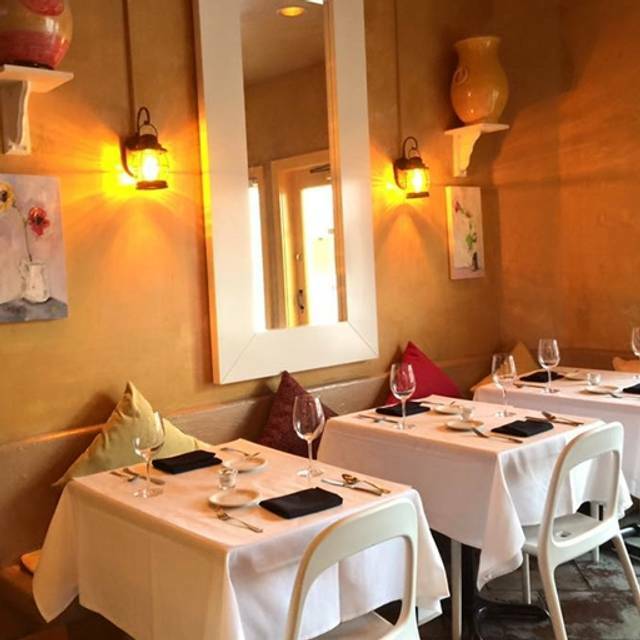 This family-owned neighborhood gem is my new favorite Healdsburg restaurant. The food is incredible and different than your typical wine country fare. Small, lovely and very special. Lovely little family run restaurant. The pupsas, which are made by Mama, are delicious. Latin/Caribean paella is also very tasty. Guiso is a very intimate and special experience. 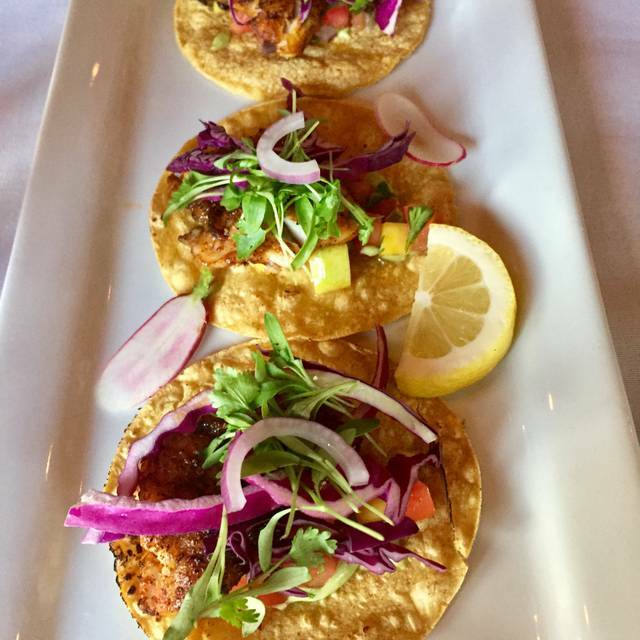 The chef and his family run the small latin fusion restaurant. Servers were very attentive and explained all the dishes. The brussel sprouts were surprisingly our favorite. The rice porridge dessert is the only item I wouldn't recommend. It was good, just a bit basic. The price is very reasonable as well. I highly recommend! Wonderful food, great service, intimate (small) ambiance. We'll be back. 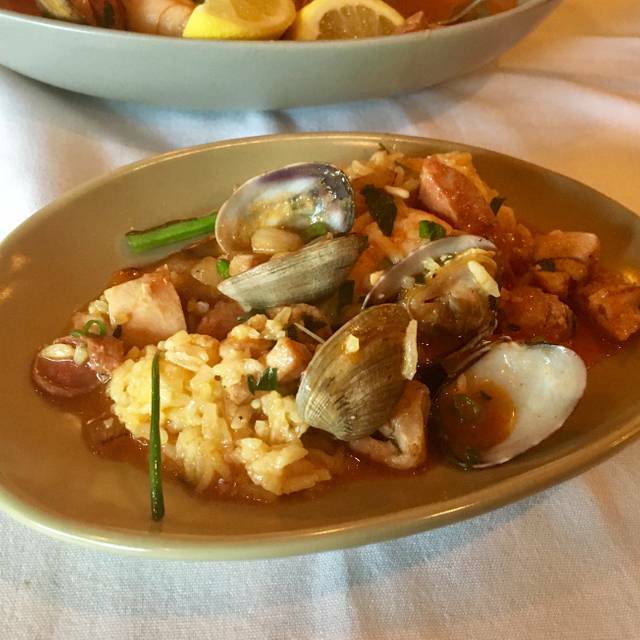 The Guiso family and their Latin Fusion restaurant are Healdsburg treasures. 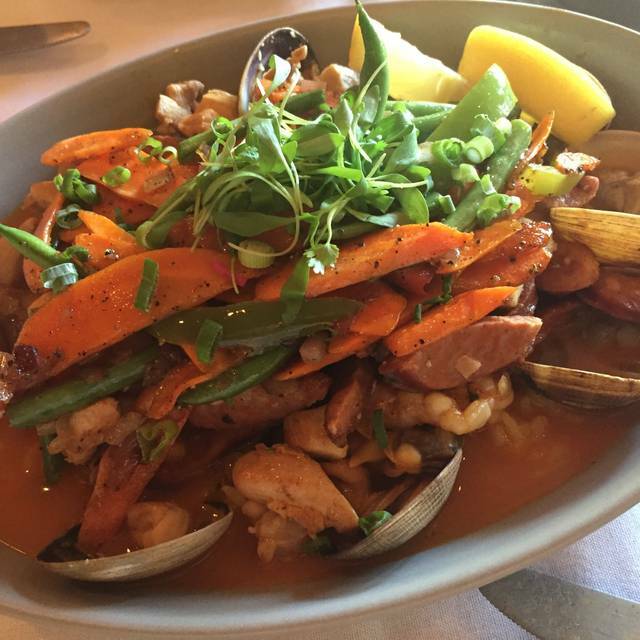 Do not miss Chef Carlos' take on paella. What a find! We absolutely LOVEd this place. Can’t wait to go again. delightful hosts, delicious food and the warmest little location. Don’t miss it. Great to see and support young business owners so enthusiastic about what they do and so caring of how they do it. Such a lovely experience. Our sever did a great job explaining everything. The food was delicious. Very accommodating. Everything was very fresh and tasted wonderful. I would highly recommend! The only reason I didn't give it all 5 stars is because some of the dishes were too salty for me. Maybe it's the healthy, boring California cooking without lots of salt that I am used to. It would have been perfect if there was something to eat alongside the dishes that were too salty for me. I did take some home to enjoy the next night (I cooked some starch to counteract the saltiness). Other than my own tastebuds the place was wonderful and we will definitely be back next time we are in Healdsburg. Hope they stay small and intimate and enjoy their little jewel box restaurant for a long time! What a gem! We had a lovely meal and tried many dishes, all delicious! We’ll be back. This is such a cute family owned/run restaurant. 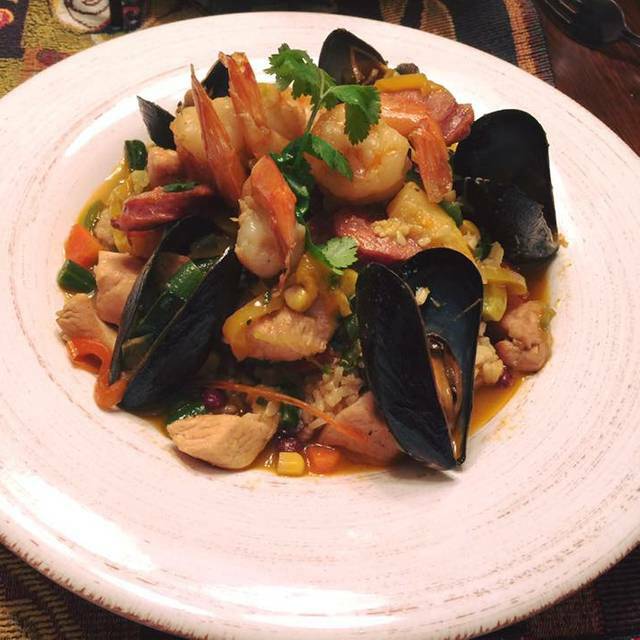 The chef is creative with traditional and family recipes...and everything is delicious. Highly recommended. Really good food and service is so friendly! We thoroughly enjoyed dining here. Amazing food! The pupusas are a can’t miss. Wonderfully family run restaurant. Guiso never fails to impress!! Chef Carlos and his staff are so friendly and kind and their food is some of the best in town!! 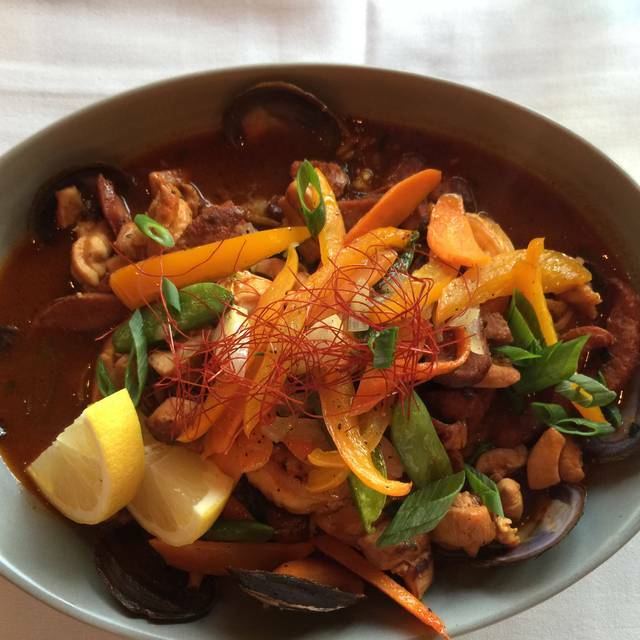 Every dish on his menu is full of flavor and will make you want to try everything on the menu. Don’t miss this one of a kind gem in healdsburg! Guiso continues to be one of my favorite places in town and am always excited to go back for dinner! Amazing! Sliders a must as are the brussel sprouts. A must do in Healdsburg. It’s a tiny family-run restaurant with an open kitchen and a warm and cozy ambiance. Menu isn’t large, but everything we tried was delicious. I would definitely go back! The food, the staff and the owner is amazing. We had an amazing dinner and will definitely be back. Excellent Latin informed cuisine with unusual flavors. Great small plates, and the atmosphere is relaxing. The young lady who took our order made us feel like "members of the family". This is an impressive find for me. I'll definitely revisit Guiso Latin Fusion. Amazingly wonderful food and phenomenal service! Our new favorite in Healdsburg! 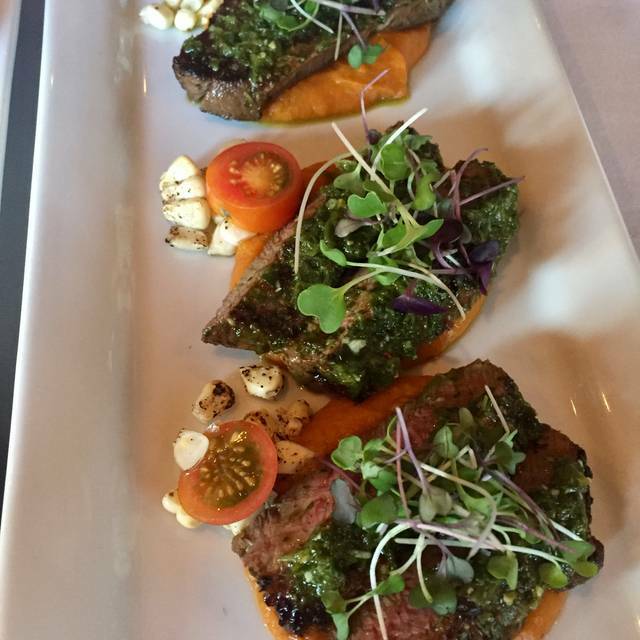 This family-owned and operated restaurant in the heart of Healdsburg is truly a dining gem! The menu consists of family recipes from Central and South America, passed down through generations (grandmother to daughter to grandson), prepared by the grandson and served by the family members. Everything is prepared fresh as you order it, and is a great fusion of old-world sauces and entrees with today's farm-fresh ingredients. 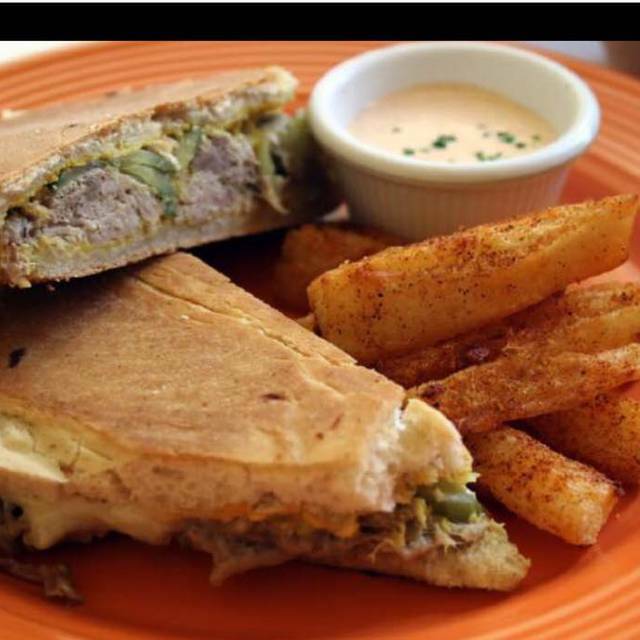 It is truly a taste sensation, and not your typical Latin cuisine. Reservations are required as it's a local favorite and there are not many tables. Plan ahead and don't miss out!! As always, the food and service was excellent. My wife and I had Tacos de Pescado (local cod) as our appetizer and the Pescado con Coco, sautéed halibut, cooked to perfection, with a lime foam to give it a beautiful citrus finish. It was served on a saffron rice base with a hint of mango and vegetables. Chef Carlos always greets and makes feel welcome. This is our favorite restaurant in Healdsburg. Guiso was the perfect family owned restaurant. The food was amazing and the service was beyond exceptional. Plan to be there for a few hours as food is cooked in front of you as you order but it is so worth it. We would definetley go back and highly recommend you trying this quant little place. Staying in Guerneville for the weekend from Mountain View and tried this restaurant for the first time due to great Yelp reviews. A small, intimate, family-run restaurant with wonderful ambience. Only minor downside is that some of the seats are in the path of the doorway, which during the cooler weather is a bit drafty each time guests enter the restaurant. We found out that some people make specific reservations for the tables that are away from the door. Servers are warm and very attentive and take the time to explain the dishes to you and which ones are special family recipes. We enjoyed the pupusas (grandma's recipe), vegetables sauteed in a delicious tomato sauce, and warm, soft homemade dinner rolls with herb butter as appetizers and then savored the tasty brothy paella (different from style you're used to) chock full of homemade chorizo, shrimp, clams, and mussels cooked to tender perfection. We would highly recommend this restaurant and would return again when we are in the area. Excellent food, enthusiasm from chef and his fiancé. Looking forward to going back soon. Delicious mom and pop restaurant. Small but delicious menu- presentation and playing impeccable. The halibut was so fresh and the salad delicious and creative!